Is it possible to estimate how big a foal will be when they reach mature size? 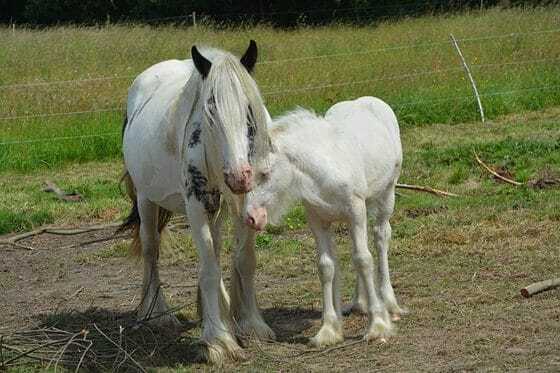 While there is no one exact mathematical formula for estimating a foals’ mature size, several methods have been developed for estimating mature horse height in foals and yearlings. One method of measurement is to measure a straight line in inches on either front leg, from the coronary band to the middle of the knee joint. This measurement can then be converted directly to hands to give an estimate of the foal’s mature size in hands. Here’s how to do it. Horse Talk – coronary band: The coronary band (also sometimes referred to as the coronet band), is located at the point where the leg’s hairline meets the hoof. It provides the majority of nutrition to the hoof and is the area from which the hoof grows. First, it’s important to be clear and confident in your understanding of horse height in hands. 1. How many inches are in a hand? 2. If a horse is listed as being 15.3 hh, what does the ‘3’ represent? 3. You are told a pony is 14 1/2 hh. This pony’s height 14 hands and how many inches? 4. One inch is what fraction of a hand? Now, back to estimating mature height. Once the lower leg measurement is taken in inches, multiply the measurement by 4. The foal to the right above measures 10 3/4 inches from the the coronary band to the middle of the knee joint. 5. Estimate this foal’s mature height in hands. 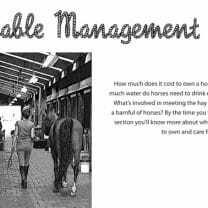 This method for estimating mature horse height can be used with foals from 3 months old upward. You measure the foal to the left and take a measurement of 15 ¼ inches. 6. Estimate the height of this foal at maturity. Now that you’ve used this method twice, do you see a pattern? 7. 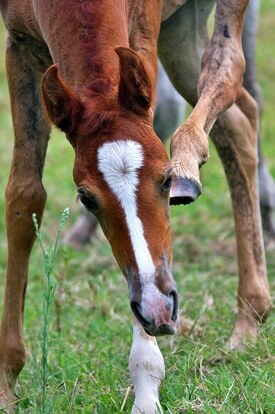 The measurement you take of a foal’s lower leg will be what fraction of the horse’s mature height? Have you noticed a relationship between the measurement itself and the estimated mature height? 8. Is there an easy way of using mental math to make this estimation in you head? One of the reasons leg measurements of young foals can be used to estimate mature height is that at birth, a foal’s legs are already 90% of their mature length! In previous posts Horse Lover’s Math shows two other methods for estimating mature horse height, one for foals and one for yearlings. It would be fun to experiment with these estimation methods on a group of foals. How close would the estimates be to each other? How close would they be to estimating the foal’s actual height at maturity? Interesting questions. Perhaps someday you’ll be an equine scientist and can find the answers to these questions—and many more! Answer: There are 4 inches in a hand. Answer: The ‘3’ represents inches. So a horse that is listed as 15.3 hh is 15 hands and 3 inches high. 3. You are told a pony is 14 1/2 hh. This pony’s height is 14 hands and how many inches? Step 3: Convert back to a whole or mixed number: 172 ÷ 4 = 43 inches. Step 4: Convert to hands: 43 inches ÷ 4 (number of inches in a hand) = 10 with a remainder of 3 inches. This foal may grow to a height of 10.3 hh. Answer: Let’s try another way to do the math this time. Step 1: 15 1/4 inches × 4 = 61 inches. Step 2: Now we’ll convert directly to hands: 61 inches ÷ 4 (number of inches in a hand) = 15 hands and 1 inch tall at the highest point on the withers. Step 3: This is written as 15.1 hh. Answer: It will be one quarter of the horse’s mature height. Answer: In question 5, the measurement was 10 3/4 inches and the estimate for mature height was 10.3 hh. 10 inches ➔ 10 hands and 3/4 inches ➔ 3/4 of a hand, or 3 inches, making the estimate 10.3hh. In question 6, the measurement was 15 1/4 inches and the estimate for mature height was 15.1hh. 15 inches ➔ 15 hands and 1/4 inches ➔ 1/4 of a hand, or 1 inch, making the estimate 15.1 hh. Easy! Which Will It Be, a Bit or a Bitless Bridle? The public is invited to attend an equine event, “The Movement,” at Flag Is Up Farms in Solvang, CA April 29-30. 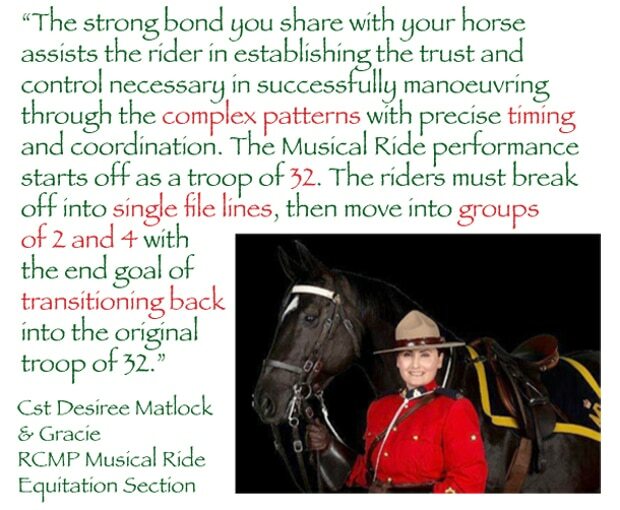 Founded in 2018 on Monty Roberts’ belief that non-violent forms of communication are essential to building trust and achieving outstanding results, The Movement is committed to helping people discover the unique power of horses so they may lead and live better lives. I have had time to visit your website and find your initiative absolutely fascinating. I love what you’ve done with your program – I wish there was something like this around when I was struggling with math and daydreaming about ponies! Helen E. Battisti Ph.D., R.D., C.D.E. I looked through your website and think it is great and a really wonderful idea. 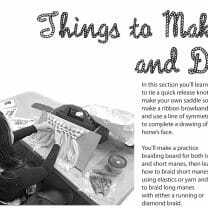 We are always looking for exciting ways to incorporate math into our curriculum and this is a really nice way to do it. 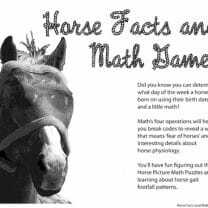 I can’t wait to use Horse Lovers Math in the classroom with our girls. I found your site interesting. I quite love it. I think tapping into a passion can lead to amazing things. 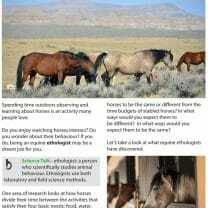 I love this math project using horses. Great Job! !